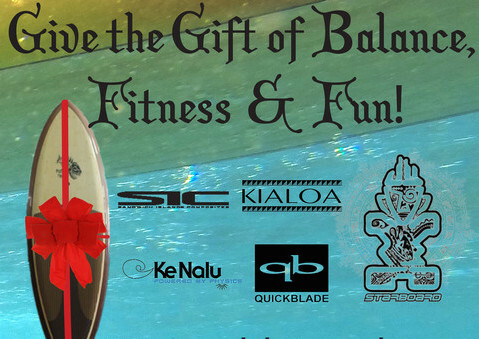 Give the gift of Balance, Fitness and Fun! 1) Purchase a $100 Gift Card and receive an additional $10 Gift Card for free. Click here to order a gift card on our website, we will automatically include an extra $10 gift card per $100 in gift cards purchased online. 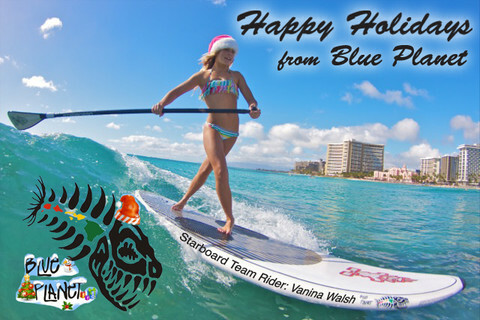 In addition, we are also offering free storage and delivery in the Honolulu area of boards purchased as Christmas gifts before Dec. 23rd. Click here for details on the free delivery offer. Happy Holidays from the Blue Planet crew! « Starboard’s Beau O’Brian Wins the Doctor! This entry is filed under News. You can follow any responses to this entry through RSS 2.0. You can skip to the end and leave a response. Pinging is currently not allowed.